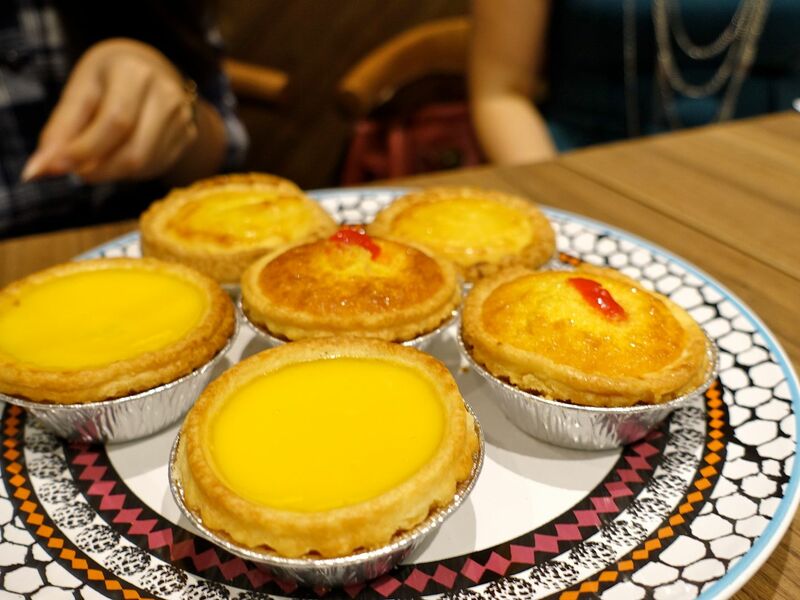 A year after they started serving their famed short crust pastry egg tarts, Tai Cheong Bakery has now opened their first overseas dine in concept outside of Hong Kong at Holland Village! 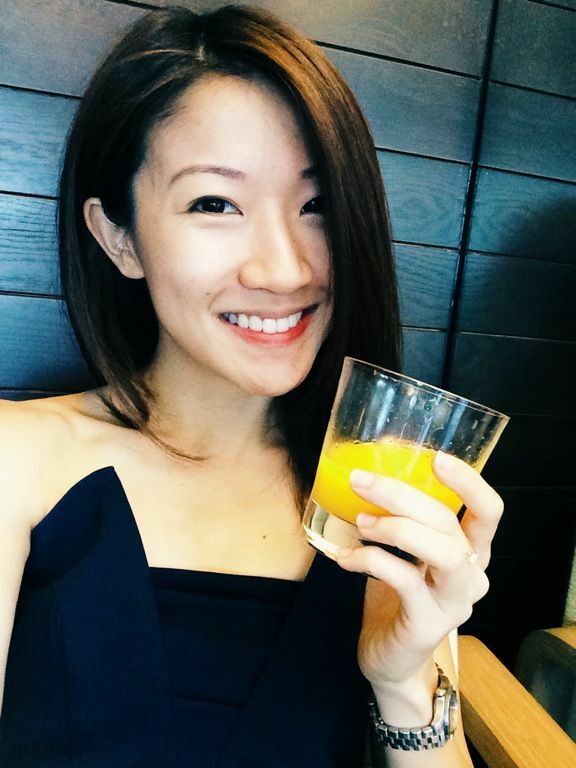 Dig into typical cha chan teng fare in this modern HK style tea house but be prepared to join the queue (as per authentic HK style- they do not take reservations at this 42 seater cafe). The sweets need no introduction but how do the mains fare? 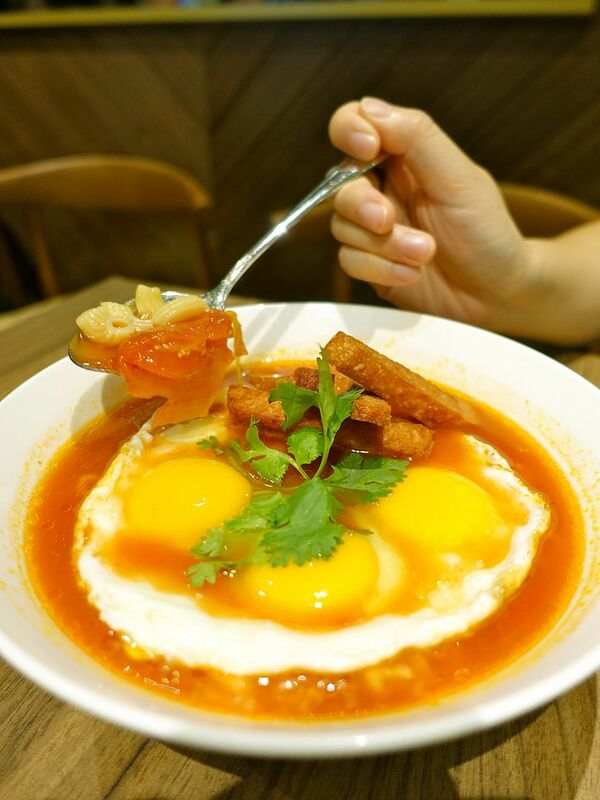 Eggs seem to be in abundance here at Tai Cheong with plenty of egg dishes (they use three eggs in all of them)! The Three egg macaroni soup with luncheon meat ($8.50) is typical weird Brit-HK style with elbow macaroni cooked in a tomato soup, served with fried luncheon meat sticks and runny sunny side up eggs. We say this makes a great hangover meal. Plus the soup is a lot better than the typical watery sort served in HK. Very 'Campbell'. 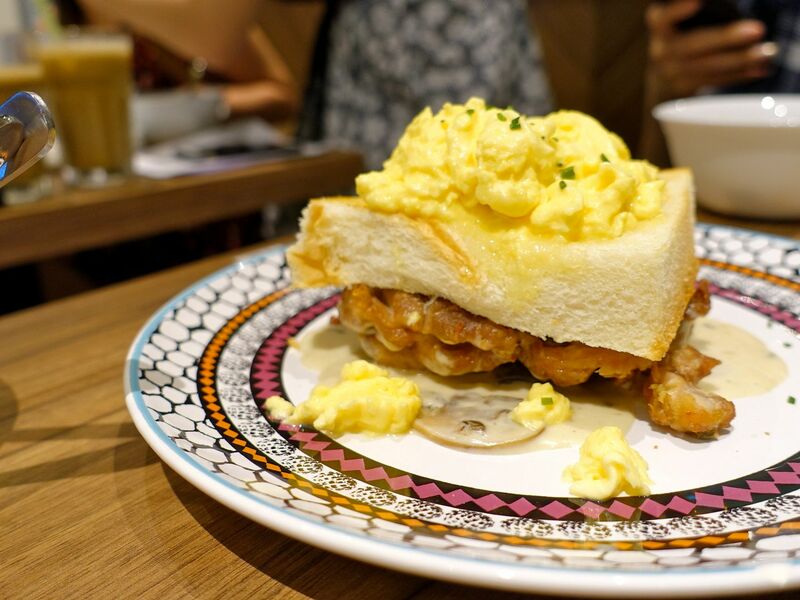 While the Scrambled Egg Toast stack with Chicken Chop ($9.50) may not be Australian Dairy standard, the creamy scrambled eggs were fluffy and satisfying enough. However, the hot steam and moisture from the eggs, along with the butter, were soaked up quickly by the toast and it quickly turned into a soggy sponge. I'd definitely tell them to separate the different components. The pan fried chicken was dry and bland and the creamy mushroom sauce did not managed to make it any better. 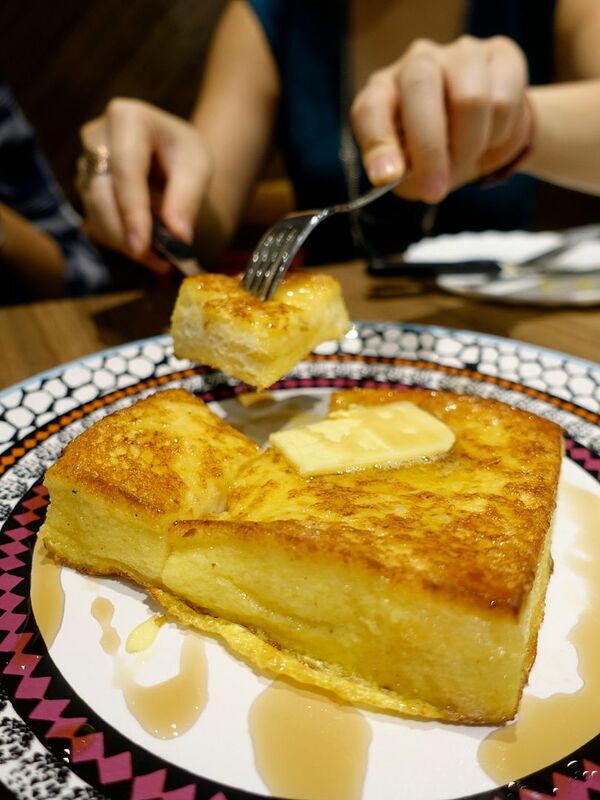 I'd rather have the super eggy and buttery French toast ($6.50) which had a light milky flavor to it and a nice golden egg crust around. Choose between the pure maple syrup (it's not too sweet) or the homemade dulce de leche. For a fuller meal, i'd go with the Three colored silky eggs with rice ($9.90). Actually there's only 1 color. 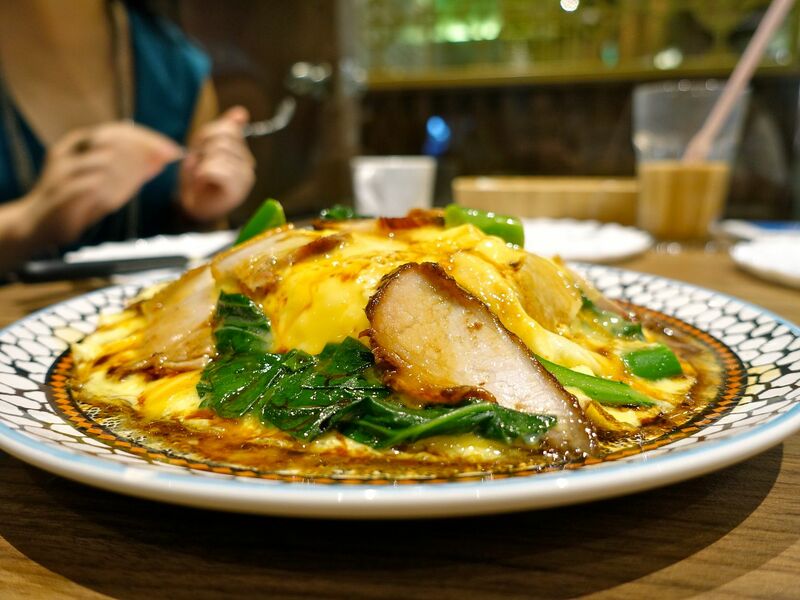 This silky omelette comes with a choice of 2 meats (roasted pork & prawns, roasted pork & beef, roasted pork & crispy pork belly), kailan and rice. We love that savory chinese mushroom sauce that coats the egg dome. 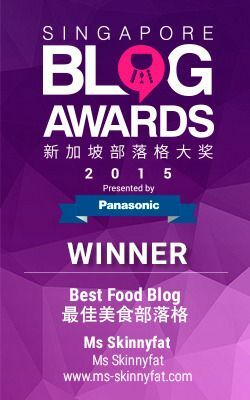 Special mention goes to the roasted pork belly, which has a nice mix of fats and saltiness. The char siew wasn't too bad- sufficiently flavored, not too sweet. 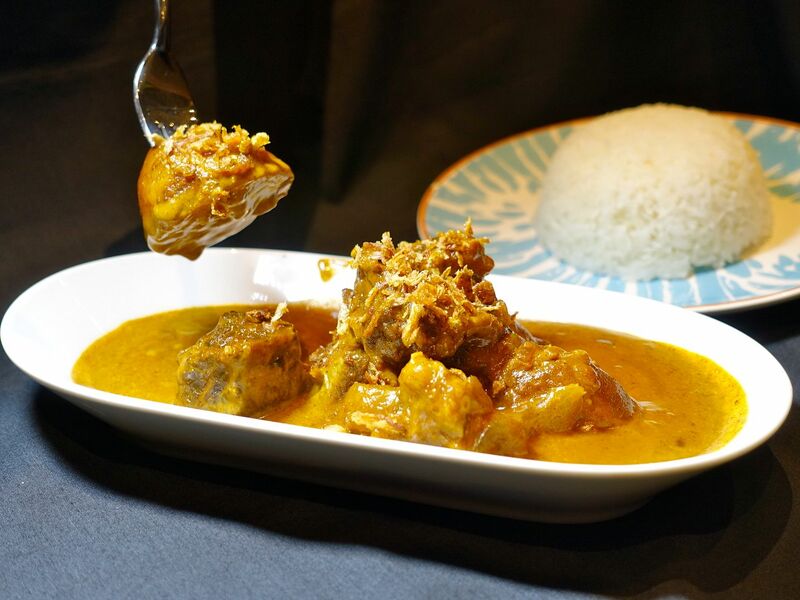 We would have that lovely satay-like curry sauce with starchy potatoes in the Beef Brisket Curry Rice ($10.90) anytime but something needs to be done about that dry chalky meat. True to HK curries, the one here is made with Asian spices like star anise, turmeric, peanut and sesame sauce and chili oil. Now back to the sweets. 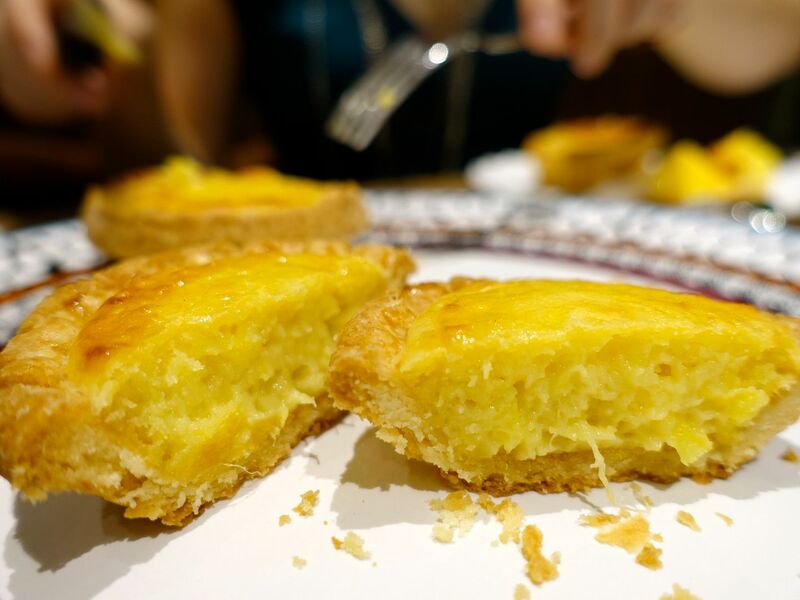 We inhaled several Egg tarts ($1.90) and packed more of that silky curd with amazing shortcrust pastry home!!! Make sure you have at least one on the spot because it's best warm! 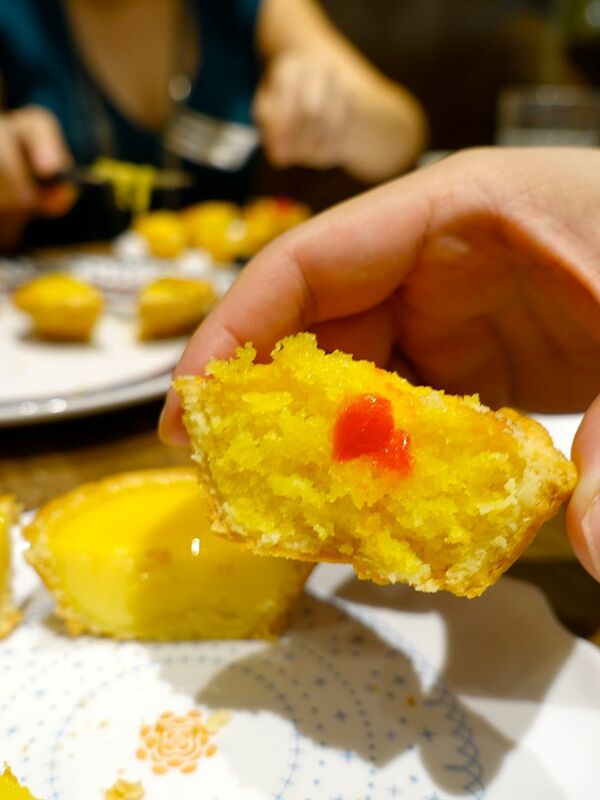 The Coconut tart ($2.50) is fragrant and juicy. Skip the Bolo Bun ($2.20). I thought it's kinda empty and dried out. The crust was also not crunchy or buttery. 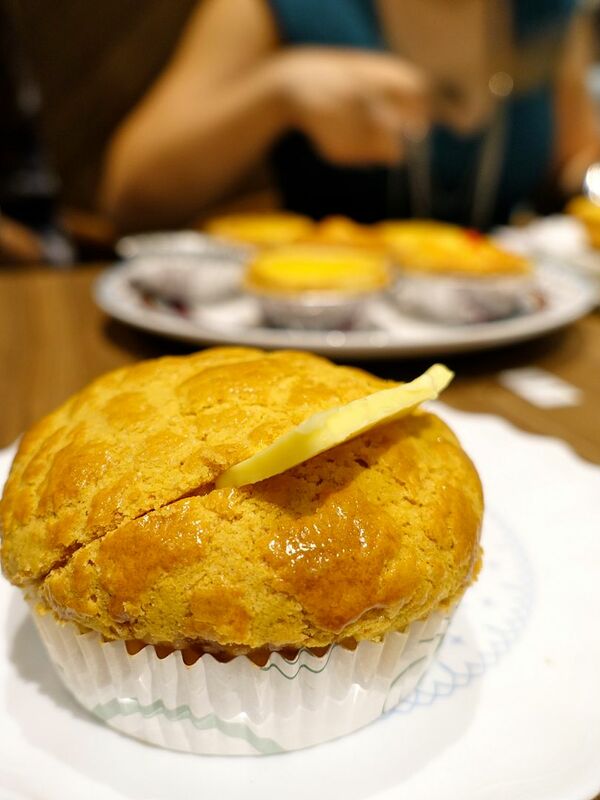 Now for the special something that is only exclusive at the Holland Village eatery (you HongKongers will have to get these in Singapore)... The Durian & Cheese Tart ($3.60) made with D24 durian pulp and cream cheese, encased in the same pastry. It sounds strange but the cream cheese gives the durian pulp more texture and the flavors work perfectly. If the mains don't excite you, don't worry, the takeaway queue for the pastries is separate from the dining line and you can takeaway up to 16 pieces of pastries while dine-in customers can only consume two each.